The cost of each copy of One Hundred Butterflies is $15 including shipping and handling to Canada and the USA only. For book orders outside of Canada and the USA please contact us with the number of books you’d like to order and we will let you know the shipping cost. Please provide the shipping address as well. Thank you. 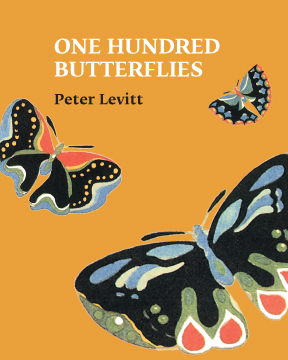 The one hundred short poems in this new, beautifully designed edition of the much beloved One Hundred Butterflies offer readers the full range of humor, wisdom and a love of life for which their author is known. Books will be mailed upon receipt of payment. Christmas and Chanukah orders must be received by December 1st.